Roshen Nair won the 2017 National Chess championship for U11 section (under age 11) by competing in the 2017 US Junior Open in Minnesota. 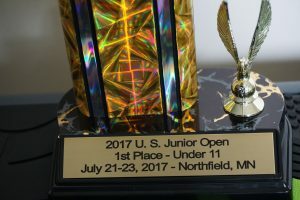 There were four sections – U8, U11, U15 & U21. After 24 hrs of grueling chess (over 3 days and 6 rounds), Roshen and two other players tied for first place with 5 points. 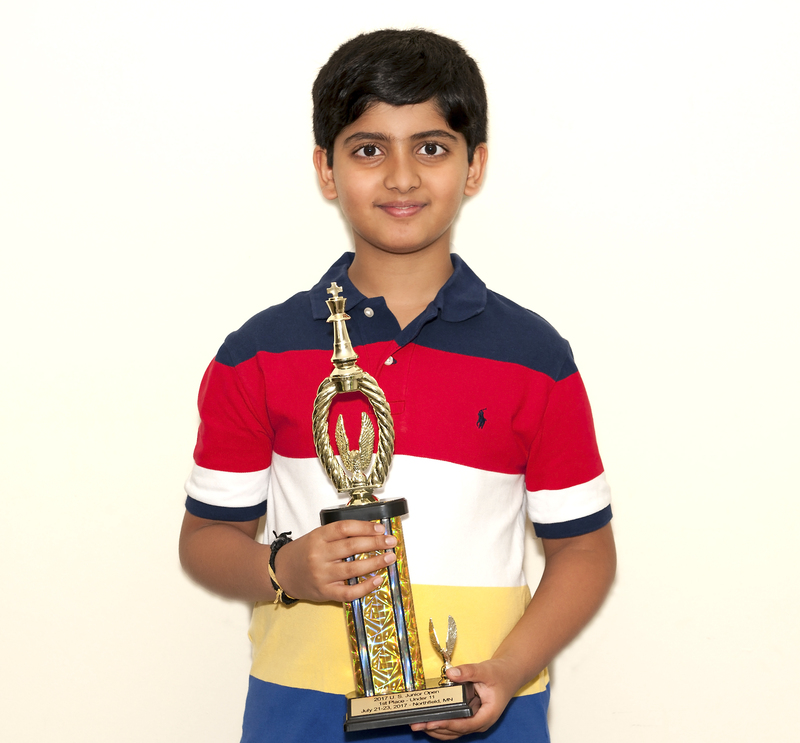 After coming ahead in the tiebreaker, Roshen has been awarded the national chess champion title for U11. Won 1st place at the 12th Annual OSCF (Oregon Scholastic Chess Federation) State Chess Championship (Elementary Platinum section) on May 6th, 2017. Won 1st place at the 2017 Oregon State Chess Championship (Grade – 5 section) organized by “Chess for Success” by having a perfect score(5-0) on March 11th, 2017. Won 1st place at the 2016 Oregon State Chess Championship (K-4 section) organized by “Chess for Success” by having a perfect score(5-0) in April 2016. Won the 2nd place at the 11th Annual OSCF (Oregon Scholastic Chess Federation) State Chess Championship (Elementary Platinum section) in April 2016. Won the 2nd place at the 2017 President’s day weekend tournament (in the top section). 2017 US Junior Open results can be viewed using the following links.